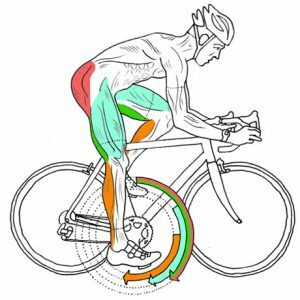 Why can’t I ride any faster on my bike? A question I’ve often pondered. Why are some people able to ride so much faster than me, even when they are relatively new to cycling. After doing a bit of reading it seems the answers are fairly obvious – genetics, attitude and environment. If you’ve read my story you’d know that I’m a non-sporty person who has spent most of her life believing she couldn’t be involved in physical activities without being embarrassed. That was until I found cycling, which has changed my life and my attitude. But that hasn’t stopped being curious about why some of us are just faster on a bike, seemingly without even trying. So I’ve done some research as to what makes you more sporty people so sporty. The most obvious reason is simply to do with individuals’ genetic make-up. Specifically genes that regulate cardiovascular endurance and muscle fibre type, which is clearly where I lack the right stuff. Experts agreed that genetics also have a large influence over strength, muscle size and muscle fibre composition (fast or slow twitch), anaerobic threshold, lung capacity and flexibility. One major limitation for endurance athletes is cardiac capacity, or the heart’s ability to deliver enough oxygen (via the bloodstream) to the working skeletal muscles. The other limitation for would-be endurance athletes is the ability of muscle tissue to effectively use oxygen and create ATP (adenosine triphosphate), the fuel that allows muscular contraction and movement. The good news for us non-sporty types is that despite our lack of cardiovascular endurance and muscle fibre gifts, some of us will respond better to training. I certainly know that if I ride more I improve my endurance and speed. I’m definitely never going to be an elite athlete but I can improve with even a modest amount of training. The second factor that most gurus on this subject identify is the all important attitude. This is certainly true for elite athletes but it can equally apply to casual cyclists. One of the things that holds me back is the negative voice in my head that constantly tells me ‘I can’t do it’. I know that many women have the same little voices holding them back. The last major factor is the environment, and in my case that was up until recently a mostly negative environment. Even for sporty type people, they are only given the potential to excel at sport they still need to be in the right environment to thrive. The most wonderful thing about cycling is that despite my lack of ‘sporty’ gifts I can still ride a bike and I can also improve through training. I know I’ll never be the first rider across the line, but I know that I never give up once I’ve set myself a goal. It’s just nice to understand why. 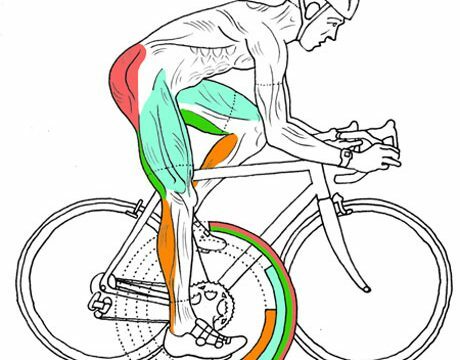 Why can’t I ride any faster on my bike? Share your stories about why some cyclists are stronger via comments or the Women Who Cycle Facebook page. Hi I’ve read your blog for a long time but this is the first time I’ve responded. Your post is so pertinent. I have been cycling now for many years on and off but more recently on and trying to improve. I am not really built for climbing but love to ride hills, however the shite that goes on between my ears is so hard to overcome. I think I’d improve if I just trained harder up hills but that voice in my head says “If you push now you’ll have nothing left when it gets very hard and then it’s really going to hurt and you won’t be able to do it!” So I just diesel my way up instead of attacking. Still work in progress. Love your posts. I started cycling again in May 2014 at age 59, and promptly hit a steel pole, broke my leg and was off for the rest of the summer. 2015, I started again and accomplished 2100 kms. In 2016, I went farther with 2600 kms cycled. However, even with almost daily training, I can’t get my speed up past 30 kph at the fastest. Not sure why as I see younger cyclist (especially men) shoot past me like I’m standing still. It can be frustrating. I mountain biked for 20+ years and have always been athletic. I’ve been riding road bike for a little over 2 years now. I compete in the Senior Games and am always intrigued by the fact I get whooped by women who are older and heavier than I am. I am hoping it is just time in the saddle and eventually I will be as fast as they are! I always joke that I cannot do things fast but I can do them forever….this explains why that is true. 🙂 great read. Thank you!